Over 300 students from six different villages enjoyed our environmental education activities in the course of two years. 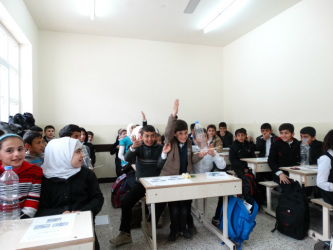 The school outreach component is about conveying environmental concepts, mainly biodiversity conservation and recycling, to elementary schoolchildren in Iraqi Kurdistan. 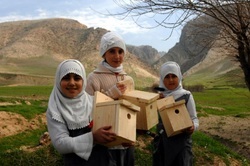 Activities are being used and tested in schools in villages around Piramagroon Mountain in the Governorate of Sulaimani, with constant coordination and consultation from our partners, the Royal Botanical Gardens of Edinburgh and BirdLife International. 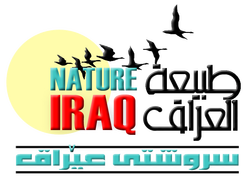 The ultimate goal was to produce an environmental education toolkit for elementary schools in Iraqi Kurdistan Region that has the potential to be expanded to the whole of Iraq, with different sets of practical activities and games, suitable in different environments and seasons. We worked with five schools in five different villages in the Piramagroon Area (Surdash, Shadala, Homar Qawm, Kani Shok, and Qarachatan). We're happy to share one of our educational projects from the first year of the project! Making a bird box couldn't be simpler and is one of the best ways of attracting birds into your garden. This project uses a single piece of wood, cut into six sections. Make sure you site your nesting box high up in a tree or building away from predators, strong sunlight and wind. A north-east facing spot is best. Check out our step-by step instructions in English and Kurdish.